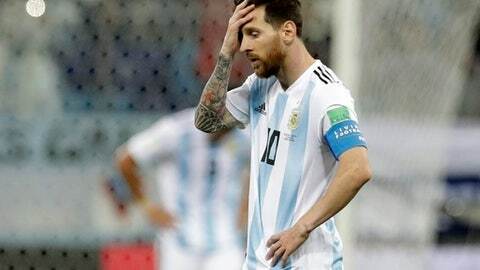 NIZHNY NOVGOROD, Russia (AP) Lionel Messi’s frustrating international career may be coming to an early and anti-climactic finish after Argentina’s worst loss in World Cup group play in 60 years. And it got worse as Argentina crumbled, frustrated by the Croatian defense. Modric scored with a hooking shot in the 80th and Ivan Rakitic added the third in stoppage time. Argentina won the World Cup in 1978 and 1986 – the last with Maradona as the star player – but has not won any major title in 25 years. The Argentines also lost in the last two Copa America finals.